Photo taken by Fielbert Photography at the 2016 Deepwells Music Festival, St. James, NY. Wade Preston from Billy Joel‘s Broadway hit Movin’ Out delivers an impeccable show with time honored favorites and original compositions. It’s not often a man can sit (or in Wade’s case, stand) in front of a piano or a keyboard and command full attention, but Mr. Preston can drop a stadium full of jaws, keeping his audiences engaged and participating. Wade played the Piano Man role in Billy Joel and Twyla Tharp’s Broadway hit Movin’ Out for it’s entire 3 ½ year run, and starred in the national tours for the next few years. He still does concerts with the Movin’ Out Band™. Wade performed at the PA Inauguration Ball in Washington D.C. for President Obama, Vice President Biden and PA Governor Rendell. Prior to Movin’ Out, Wade was well known on the west coast as the preeminent boogie pianist, revered for his rollicking performances, stunning technical abilities, spirited versatile singing and sense of humor. 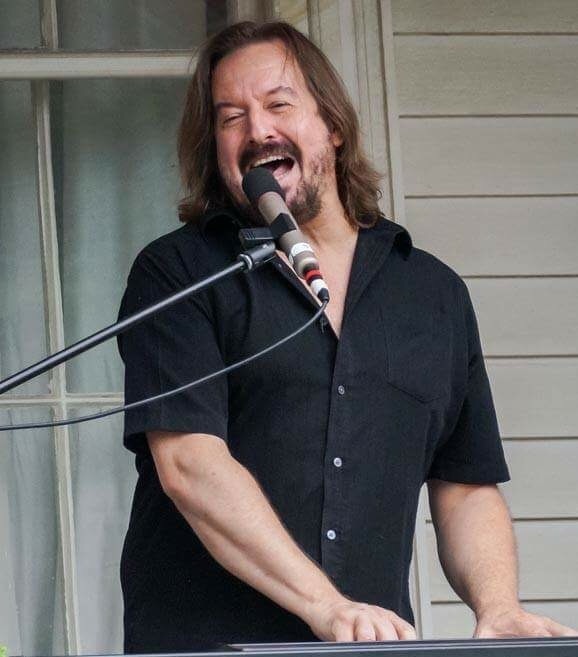 Wade is focused mainly on solo concerts now, featuring Billy’s music along with the eclectic mix of styles that he was so well known for long before Movin’ Out ever came to pass. Wade is still considered one of the finest boogie piano players alive today, and certainly proves it with every show.